Since 1974, El Pescador Fish Market & Restaurant has been serving fresh seafood in San Diego’s affluent community of La Jolla. This restaurant’s menu offers an array of superbly char-grilled and sautéed seafood items – served in perfectly executed sandwiches, salads, and plated dinners. 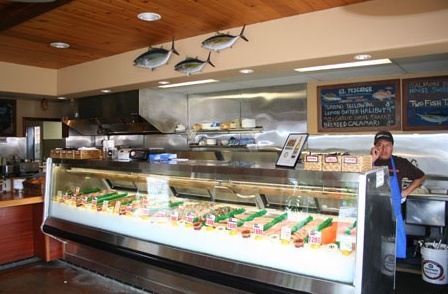 Since El Pescador is also a full service fish market, it offers dozens of seasonal varieties of seafood including local red rock cod, local sword, Scottish salmon, sashimi quality bluefin tuna, locally honey smoked albacore tuna, and New Zealand salmon – just to name a few. We had our favorite meal (char-grilled Mexican jumbo prawns) in all of San Diego, here at El Pescador. This is a must-try restaurant during your next trip to San Diego, California ! Read our full review of El Pescador Fish Market & Restaurant here.